Ahmedabad: With the Ahmedabad court of Metropolitan Magistrate BJ Ganatra rejecting Zakia Jafri’s plea against Special Investigation Team (SIT) clean chit to Gujarat Chief Minister and BJP’s prime ministerial candidate Narendra Modi, the latter said that her fight for justice will continue and she will appeal in a higher court against the order. “Our fight is with the government. I am not going to lose hope, will take this case forward in a higher court,” said Zakia, the wife of late Congress leader Ehsan Jafri who was killed during the 2002 riots. Zakia’s lawyer, too, said was he was disappointed with the verdict saying there were enough evidence to prosecute the accused. “The verdict is a disappointment for us. Our heart is broken but we will still fight. We haven’t read the full judgement yet,” said Zakia’s lawyer Mihir Desai. “According to us the evidence collected by SIT was sufficient to implicate him. They could also have gone deep into evidences. We will now be going to a higher court. We can go to a session court, High Court or a Supreme Court. We may decide to skip a court, but we will take the case into a higher court very quickly, within a month,” Desai said. Zakia’s son Tanveer Zafri added that the fight for justice may take some more time. “We understand this case is taking time, but we will not lose hope, this is a long battle. Our heart is broken but we will fight our battle in higher court,” Tanveer said. The court rejected Zakia’s petition in its order passed on Thursday and upheld the clean chit given to Modi by a SIT in the killings that took place at Gulbarg Housing Society in Ahmedabad during the 2002 riots in Gujarat. The court observed that IPS officer Sanjiv Bhatt‘s statement cannot be relied upon. Meanwhile, civil rights activist and Zakia’s lawyer Teesta Setalvad said she is shocked by the verdict. “We are very shocked, that so many facts and evidence were ignored by court. We will appeal to a higher court very soon,” Setalvad said. Without leaving an opportunity, the Bharatiya Janata Party (BJP) while hitting at Congress said that the Congress should now leave their obsession with Modi. “Congress is obsessed with Modi and constantly targeting him. The Congress should now leave their obsession with Modi,” party spokesperson Meenaksi Lekhi said. 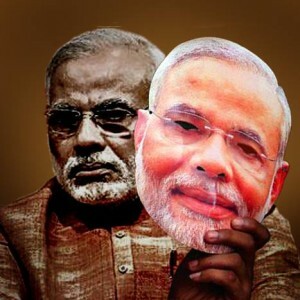 “Narendra Modi faced adversity and he has emerged stronger in this diversity,” he added. Meanwhile, SIT RK Raghavan welcomed the court order saying the investigations carried out by his team have been proved right. “We worked very hard in the investigations,” he said. Reacting to the court order, SIT lawyer RS Jamuvar said that Zakia is now free to approach the higher court. While the SIT had said that it has found no evidence whatsoever, Zakia had argued that there is adequate evidence to prosecute Modi and others who include police officers, bureaucrats and political leaders. Following the September 2011 Supreme Court order, the SIT filed a closure report in the magisterial court in February 2012. SIT lawyer RS Jamuvar said that the investigation agency did not find any evidence against Modi and hence the closure report had been filed.